This device, sometimes called a “5 port valve,” can be powered by air or electricity, with air pressure being the most common source of power. Four-way solenoid valves have five ports to allow air pressure to move an actuator or rod back and forth inside the valve, in order to control the direction of flow. There are a few different common configurations of 4 way solenoid valves. One design contains one liquid inlet and two outlets. In this case, the direction of flow is controlled by the position of the internal actuator. The other two ports, one on each end, aid in air pressure connections. As air pressure enters one end, the rod moves and internal channels allow the fluid to flow in one direction. If air pressure enters at the other end, the rod moves in the opposite direction, revealing a different flow channel that allows fluid to go in the other direction. 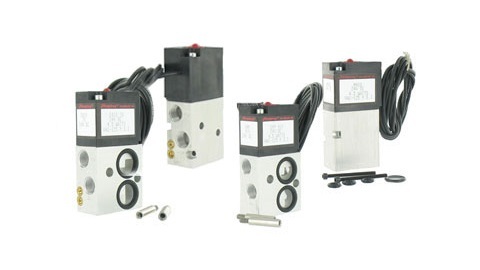 These 4 way solenoid valves are useful because they permit one device to control flow in multiple directions. Since one valve can be used for more than one control task, they are an advantageous purchase for a consumer whose control system only has a few connections available. Another type of 4 way solenoid valve is a stepper valve, which employs a ratchet system to advance the valve each time it is energized. Gears inside the valve move the actuator each time an electrical signal or burst of pressurized air is sent. Stepper valves can be used to turn flow on and off in a predetermined sequence or to activate different systems connected to the valve. 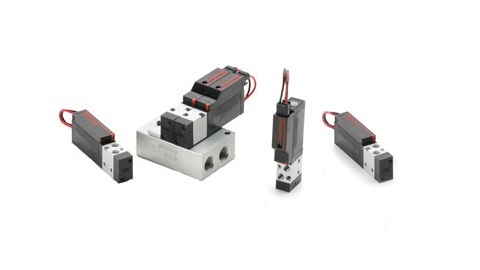 The stepper variety of 4 way solenoid valves are best suited to tasks that occur in order, or sequential positioning, without the need to go back to its original position or jump to a new one. This is because each signal on the stepper valve turns it to a new position, without the ability to return to a previous position until the signal is lost or the operation is complete. Uses well-suited to the stepper valve are, among others, lawn sprinkling, water softener regeneration, and pool chemical treatment. Since the development of greater computer technology, some solenoid valves have become equipped with “intelligence,” able to use sensor readings. For example, as signals are sent from various points in a chemical process, a solenoid can make decisions on how to operate. Valves with this type of programming are able to make operating choices without being connected to a central control circuit. 4 Way Solenoid Valves A 4 way solenoid valve is a tool that controls the flow of fluids in multiple directions.